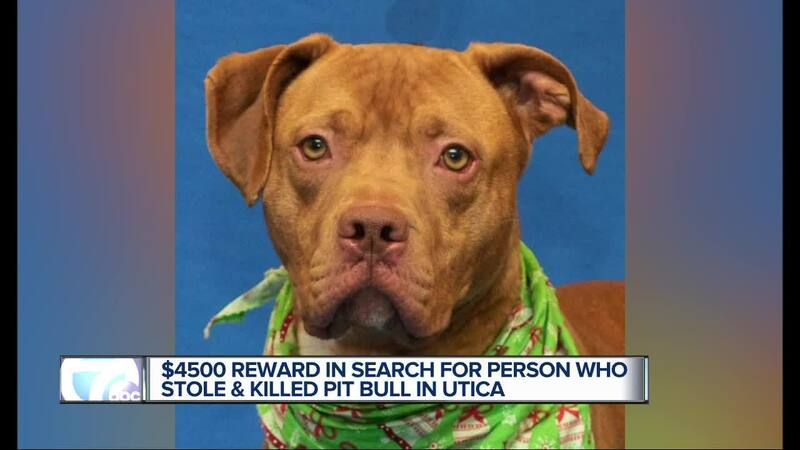 Utica Police, the Michigan Humane Society and Crime Stoppers are offering rewards to find the killer of Sterling, a 3-year old pit bull mix. The dog was stabbed and left to die in Grant Park in Utica last Thursday. Sterling was traced with a chip back to the Humane Society and the current owner who lives near Utica. The owner, who is not being identified and is not a suspect, says the dog was taken from inside the home the day before. MT. CLEMENS, Mich. (WXYZ) — The man charged with killing and torturing Sterling the dog in Utica earlier this year has pleaded no contest to the charges. Alexander Gerth was charged with killing and torturing an animal in the stabbing death of his 2-year-old pit bull mix, Sterling. Sterling was found underneath a picnic table on Jan. 24, 2019, in Grant Park in below-freezing temperatures. There was a trail of blood from a nearby trash can to the location where Sterling died. In December 2018, the Michigan legislature passed a new law that increases penalties associated with the abuse of animals, and it goes into effect for all crimes committed after March 28, 2019. Gerth will be sentenced on April 23.